The entry level 6 series GT, the BMW 620d Gran Turismo has debuted in India for the price of Rs 63.9 lakh ex-showroom pan India. The 620d GT has been introduced with the luxury line trim. 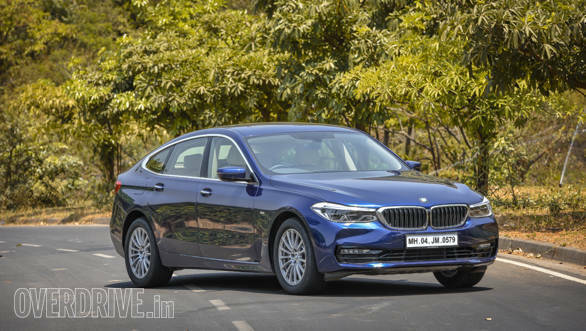 The sedan carries the same design that was seen earlier on the BMW 6 series GT and gets the similar fastback like body style along with the signature frameless windows. Being the entry-level variant in the 6 series GT family, the 620d does not miss out on wood inserts all around the cabin, leather-wrapped steering wheel and ambient lights. The passengers in the back will have two 10.2-inch screens synced with the infotainment system. The screens, mounted on the back of the front row seats, can stream BluRay DVDs and has HDMI connectivity, as well as MP3 players and connectivity for gaming consoles. The feature list continues with the addition of adaptive LED headlamps and cornering lamps. The 620d GT also gets an active spoiler and a panoramic sunroof. Powering the 620d GT is a 2.0-litre four-cylinder diesel engine that produces 190PS and 400Nm of torque. The engine is mated to an eight-speed automatic transmission and the car can dart to a 100kmph from a standstill in 7.9 seconds. 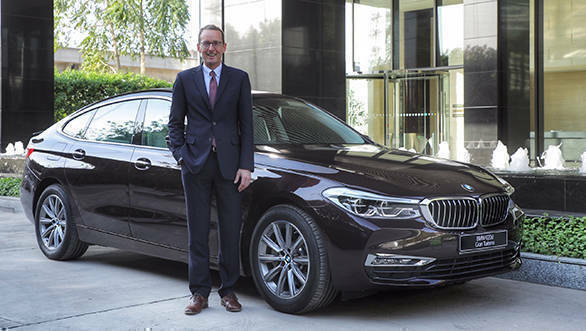 At the event, Hans-Christian Baertels, President, BMW Group India, said, "With the launch of the first-ever BMW 6 Series Gran Turismo, we created a new segment in the Indian luxury car market. Its distinctive vehicle concept, which fuses the long-distance comfort of a luxury sedan and modern functionality in an alluring coupé style, has proven to be an instant hit in this class and has become a trendsetter. The BMW 620d Gran Turismo featuring an exceptionally efficient entry-level diesel engine, further strengthens the portfolio of the first-ever BMW 6 Series Gran Turismo."